The Barn sleeps ten with a Queen Bed, Duo Bunk, Queen Sleeper Sofa, Twin Sleeper Sofa, and Double Futon. 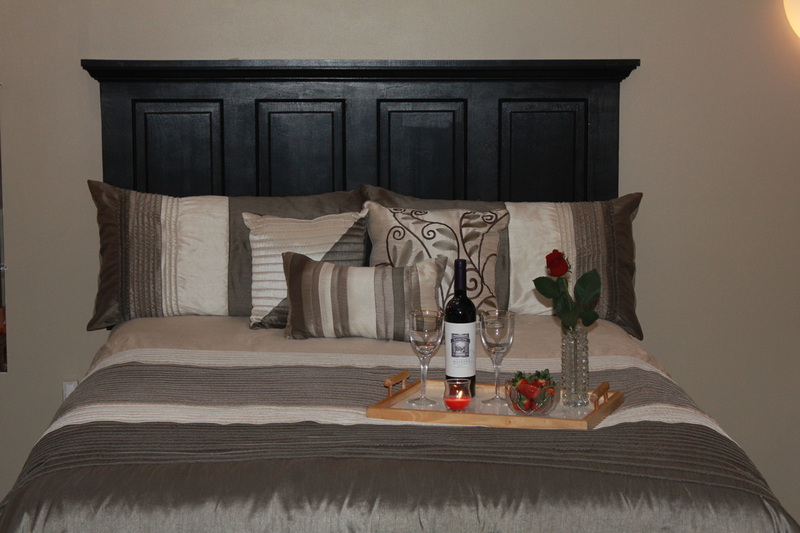 You will find plush mattresses, plenty of pillows, down comforters, and extra blankets for your comfort. Towels and linens a refreshed every third day to conserve natural resources. A hair blower and iron are available. The Barn is centrally air conditioned and heated, and offers the ambiance of a gas fueled "wood stove" fire. Enjoy leisurely meals in your fully equipped kitchen with full sized kitchen dining set. An outdoor grill is also available for your enjoyment. Complimentary WiFi internet and DirecTV provide access to the ou﻿tside ﻿world and your entertainment. Or listen to classical music, read a book, or play traditional board games from our library. SMOKING IS NOT PERMITTED ON PREMISES. THERE IS NO HANDICAPPED ACCESS AT THIS TIME. 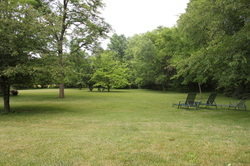 Step outside into a tranquility of three acres of private lawn where you can sit back on outdoor chaise lounges and enjoy the quiet of the country. A small selection of bicycles is available on the premises or can be rented locally. Storage for your sports and leisure equipment, as well as off-street parking is provided.